“First Gov. Cooper contacted Democratic lawmakers about House Bill 186 and urged them to withhold commitments to this potentially consensus solution, interfering with a so-far successful legislative and stakeholder process that is moving toward resolving the sensitive issues within House Bill 2. “Now Gov. Cooper has gone a step further making political demands he knows will sabotage this legislative process, before House members on a single committee even have a chance to weigh-in on this compromise to reset state policy to a period prior to Charlotte’s ill-conceived, radical and now fully-repealed ordinance. 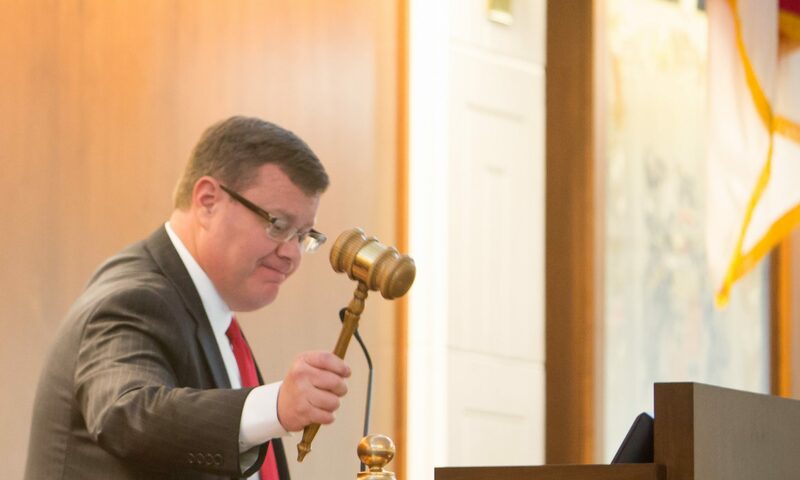 “The referendum provision in House Bill 186 was taken directly from the charters of cities like Raleigh, Greensboro, and Asheville, and the governor knows it is in no-way a novel proposal. Why should cities like Raleigh, Greensboro and Asheville potentially face referendums on their ordinances, but not Charlotte? Why is Gov. Cooper trying to distort a commonsense provision that would provide a check on the city of Charlotte that avoids our state going through this issue again? “It seems Gov. Cooper is repeatedly trying to kill House Bill 186 because it addresses the concerns on both sides and actually has a chance to pass with broad support from the ACC, the business community and a bipartisan group of lawmakers in the House of Representatives, unlike his proposals. “Gov. Cooper should stop playing political games, stop trying to please special interest groups and stop attempting to sabotage legislative efforts to find consensus on both sides of the aisle and among the business community.